Honey Propolis is a sticky substance made ​​by bees from tree barks, and from their own saliva secretion. Propolis is used by bees to repair damage to their hives, and to help close the nest from invaders or predators. It has a long history of medicinal use in Europe, but is relatively new in the United States. 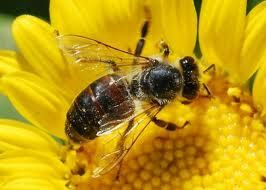 It is found naturally in honey, and is available in tablet, powder and extract form. According Vitaminstuff.com , the study cites the benefits of propolis has stimulated research is ongoing and inconclusive. Since allergic to bee-related products available, should contact a physician before taking or using any form of propolis. According to Medline Plus, animal and laboratory studies suggest that propolis may be useful in treating various types of infections. Vitaminstuff.com reported that clinical studies showed that propolis slows the growth of bacteria that cause staph infections. The results were published in the Directory Of Open Access Journals, showed that propolis collected from two areas in Brazil and inhibits the growth of salmonella bacteria. According to Medline Plus, propolis has shown promise in treating urinary tract infections and giardia infection, but more research needs to be done. Propolis helps to kill bacteria in the mouth, so it may be useful in preventing oral infections. Because of these benefits, it may be possible to get a mouthwash containing propolis extract up to 10 percent. The results were published in PubMed.gov, concluded that propolis accelerate ulcer healing in diabetic mice. Propolis is rich bioflavenoids, which has proven anti-inflammatory properties. According to Medline Plus, propolis could be an effective treatment for vaginal inflammation, but more research needs to be done. Studies with animals have shown that propolis may be effective in wound healing after tooth extraction oral. Other uses of propolis oral likely will reduce the frequency of canker sores. Again, more research needs to be done. Medline reported that the study of man, even though poorly designed, have shown that propolis is effective in treating lesions caused by herpes simplex virus. Better designed studies in humans that require further treatment before propolis can be considered as an effective treatment for herpes. Some evidence suggests that propolis can effectively fight the viruses that cause the common cold, but further research is needed. The scientists found that propolis inhibited the growth of C. jejuni, Enterobacter faecalis, and Staphylococcus aureus, three cases are usually found in cases of food poisoning. They went on to say that the preparation of propolis can be used to support traditional therapies for infections, especially when antibiotics did not show activity against micro-organisms. This is why I now keep a bottle of tincture of propolis in my bag at all times and take a dose after a meal in a foreign place or restaurant. One reason for the health benefits of propolis is extremely broad as it is so full of antioxidants. And now research has discovered how useful antioxidants in propolis can be for athletes. This compound may protect athletes from overheating according to an article in the Journal of Food Science. The active ingredient in propolis known as caffeic acid phenethyl ester, has a broad spectrum of biological activities including antioxidant, anti-inflammatory and antiviral. Heat stress is considered a major factor underlying the early fatigue and dehydration seen during prolonged exercise in the heat. Researchers examined blood from 30 competitive cyclists who engaged in endurance training for two to four years prior to the investigation. There is no competition or participate in an intensive training or had clinical disease or medical or surgical treatments four months prior to the study.